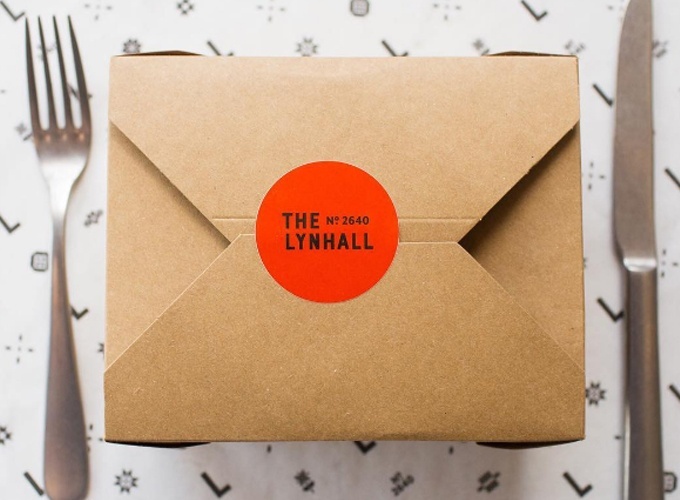 The Lynhall, a multi-functional food space that is part restaurant/cafe, part incubator kitchen, and part kitchen TV studio, opened earlier this year in south Minneapolis, and is taking the Twin Cities by storm. 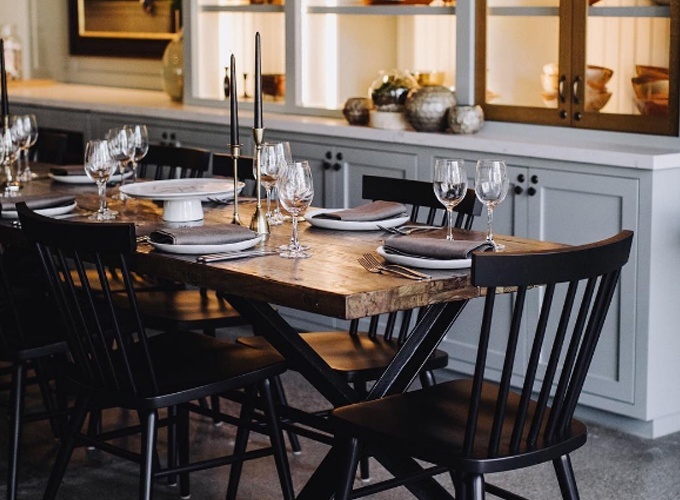 This 11, 000 sqaure foot facility, founded by Anne Spaeth, houses two rising-star chefs delivering fine dining quality rotisserie style chicken (and other meats) as well as a medley of roasted vegetables with an assortment of artisanal breads and pastries. All of this, but with a fast-casual style approach to service, speed, and price. Abby Jensen of James Dayton Design in Minneapolis dramatically revamped a 1925 garage into a cozy, inspired gathering space that’s both inviting and transformative. Walking up to the building, you’re immediately entranced by the massive steel french doors that seemingly pull you through into the main dining area. Once inside, the environment feels more like a modern farmhouse than a revamped garage. A soothing greenish gray paint dresses up the walls, accented with dramatic brass light fixtures and warm wood seating and tables. 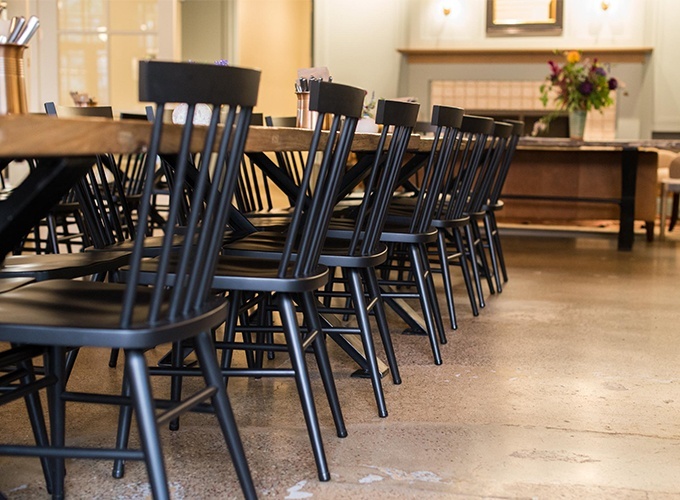 Opting for communal tables throughout the space was a risk for a traditionally conservative Minnesota audience, but when complemented by our modern Windsor restaurant chairs (dubbed Hugh), the effect is successful and striking. 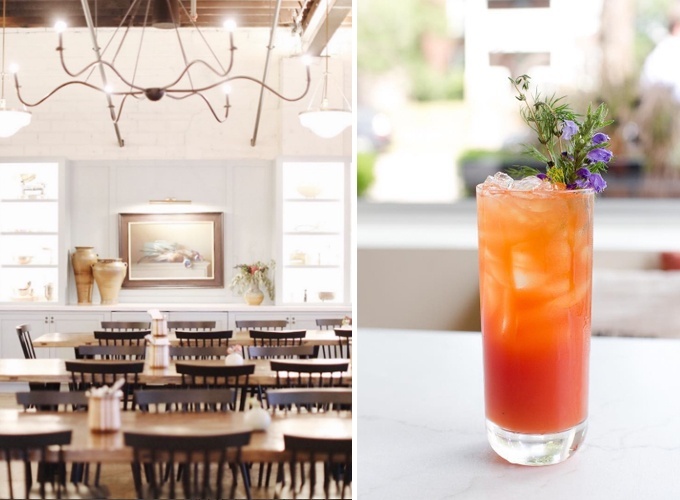 Spaeth’s vision was to create a sense of community, “celebrating taste, teaching, and togetherness,” which is why the space needed to be flexible and accommodating to a variety of activities like an all-day hang out or a casual happy hour at the bar. Outside of the main dining room, you’ll find the Ambleside Room. This room is Lynhall’s more formal private dining room, offering refuge with a cozy fireplace, couches and lounge chairs. 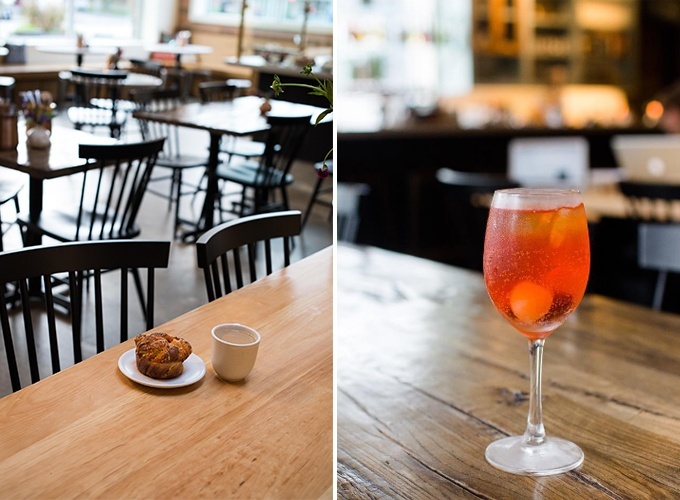 The space feels charming and modern, aligning with the overall design aesthetic of the restaurant. Within the facility there is also an incubator kitchen and as a state-of-the-art kitchen TV studio that the community can rent. Spaeth along with her team of expert chefs, managers, and staff have succeeded in creating that inviting community environment they envisioned. The Hugh Chair’s traditional yet modernized aesthetic helps bring the Lynhall vision of community and creativity to life. 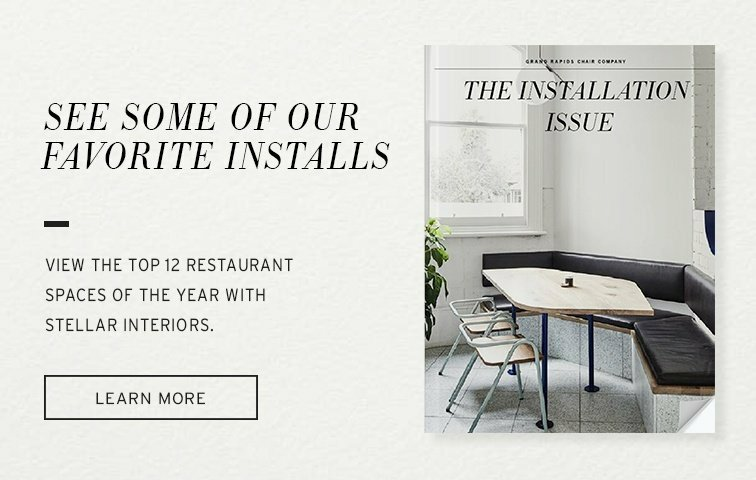 For more installations featuring Hugh check out Hat Creek Burger and Workshop, or take a look at our latest installation brochure for our favorite looks of the year.